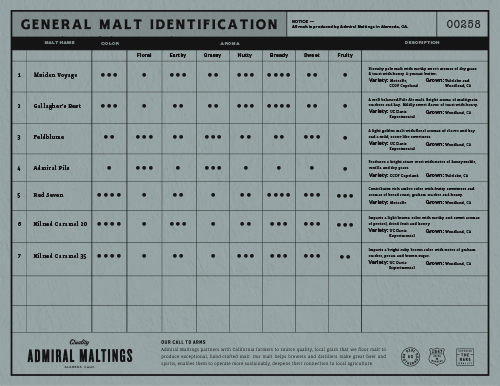 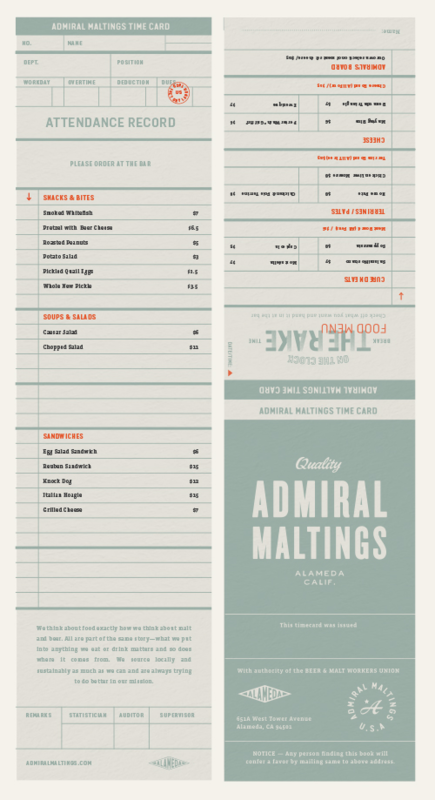 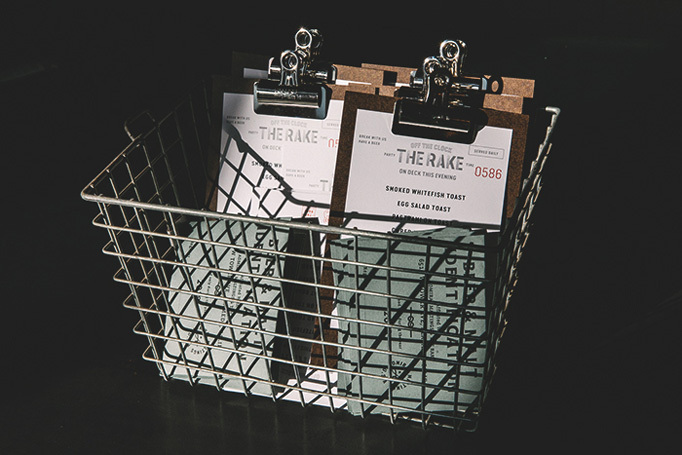 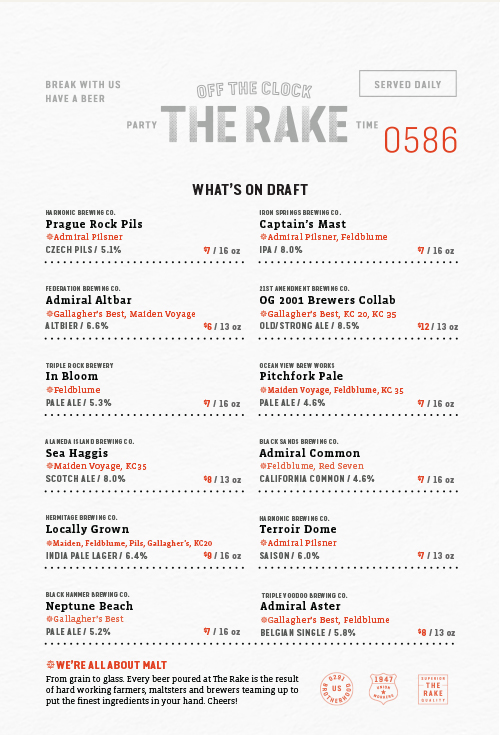 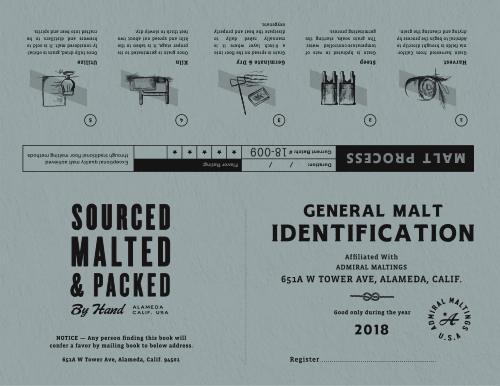 Inside Admiral Maltings, the first malt production facility in California since prohibition, is The Rake, a pub with an industrial feel that even includes a vintage timecard punch machine where guests can go time-stamp their order, especially since the food menu is designed like a timecard. 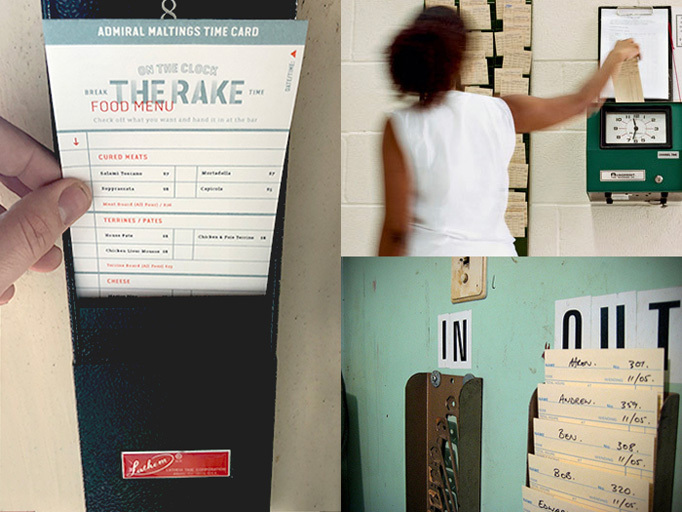 The layouts and typography are bold and with an industrial-chic flavor that’s pretty appetizing. 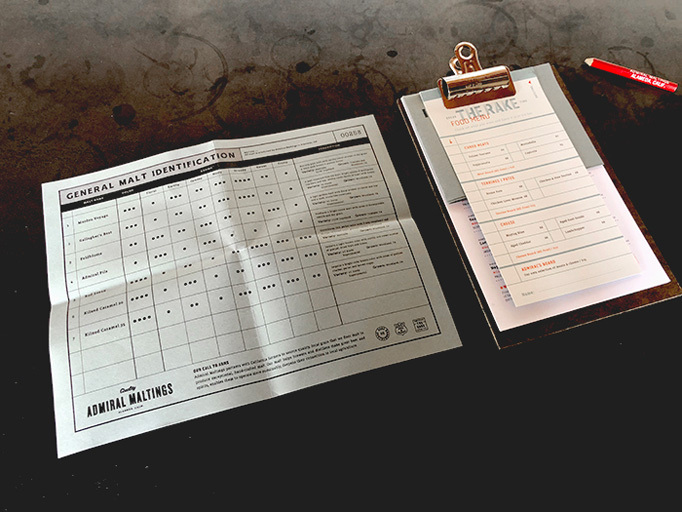 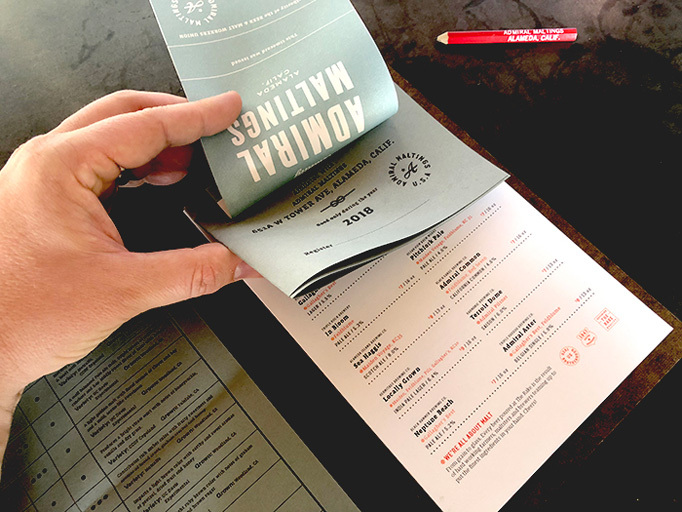 The presentation of the menus demand attention as they are offered with a folded malt information sheet that encourages you interact with the whole package. 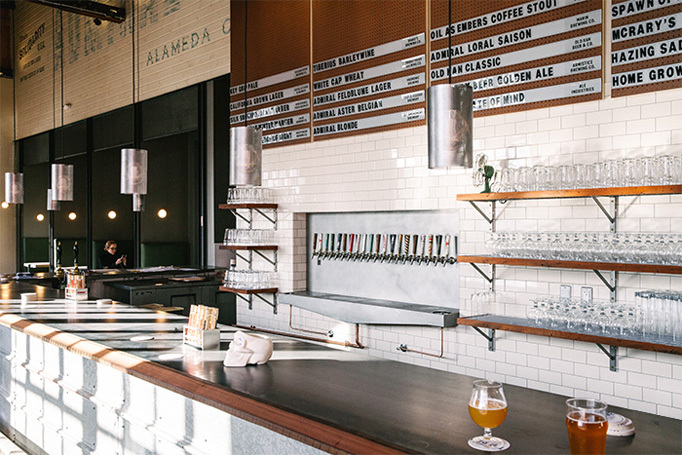 As a bonus, there is a cool pegboard backing behind the bar where beer offerings can be easily updated with marquee letter-board letters that slide in.